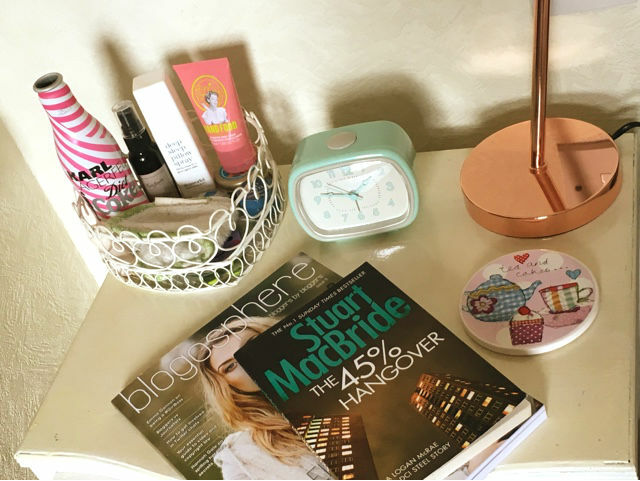 I'm not sure about you, but I certainly have a certain curiosity when it comes to seeing what people keep on their bedside tables. As I have recently removed everything that shouldn't be there, I've decided to show you what is on mine. 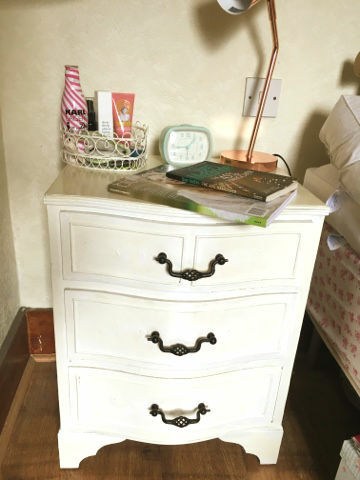 First things first, my bedside table is a vintage find which I stripped back and painted. You can see a full post on how I did it here. Generally, my bedside table doesn't really change. I'm not one of those people (like my Mother) who goes to bed early to read a book or something. I'm one of those people that switches off the TV and goes straight through to my bedroom to sleep. Not ideal I know. Therefore, the contents are pretty simple. 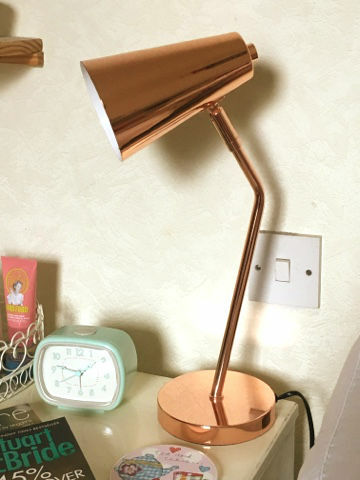 Beside my bed, I have my Copper Lamp which actually was supposed to be on the other side but it didn't fit due to my corner shelves. I also always have a coaster because I have a thing about things being on coasters. Next up I have my London Clock Company Retro Alarm clock in mint green as my iPhone kept switching itself off in the middle of the night. In addition,I always have a book or magazine on the side for when the mood strikes. 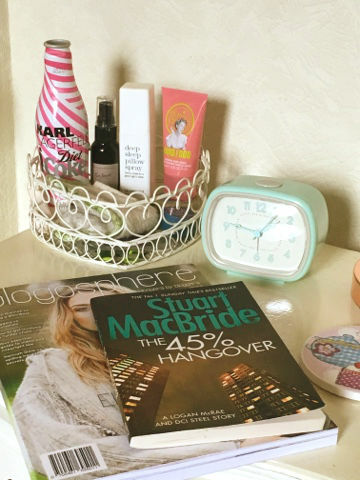 Right now I have Stuart MacBride The 45% Hangover as well as the latest issue of Blogosphere Magazine. Finally, I have a heart-shaped wire basket which I picked up from Next about 2-3 years ago. 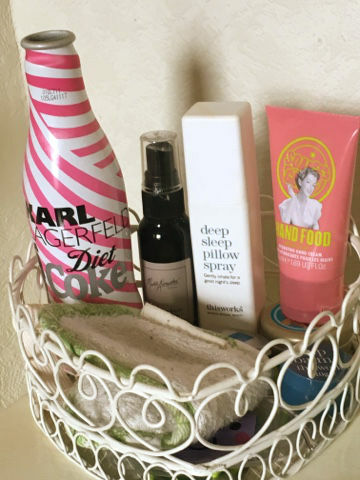 In there, I keep some standard beauty essentials: Soap & Glory Hand Food (Sugar Crush edition), This Works Deep Sleep Pillow Spray, Wild Argan Oil Lip Balm , This Works Sleep Balm, Ear Plugs (I live in a flat), Eye Mask, a random room spray and an empty Karl Lagerfield Diet Coke Bottle. This is mine ...now what do you keep on yours?